All this majesty comes at a heavy price. The next morning the temperatures had plummeted, Mt. Everest was shrouded by fog and clouds. At the world’s highest Monastery, hot butter tea, scrambled eggs and pancakes with honey was the perfect breakfast. 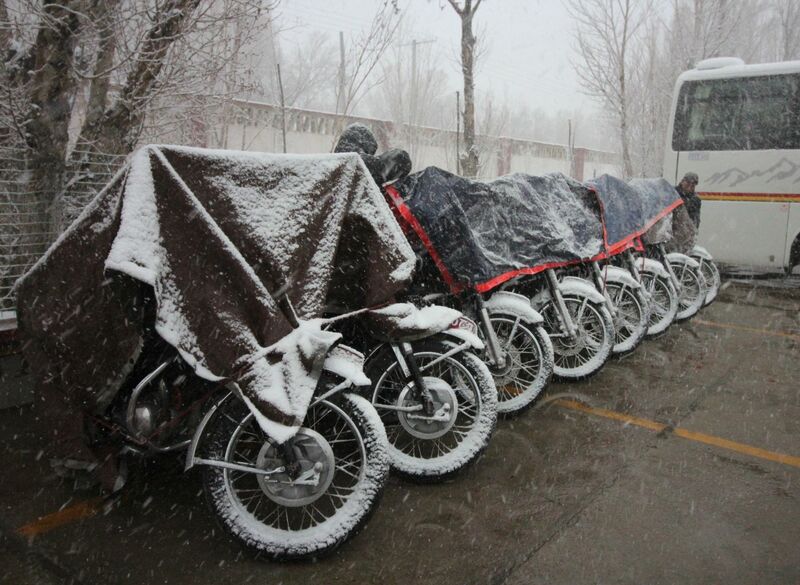 The Royal Enfield bikes were covered in snow, but we would soon be descending from 17,000 feet. Almost everyone had some level of altitude sickness. I couldn’t eat dinner the prior night; breathing was difficult, a stuffy nose and headache felt like flu symptoms. 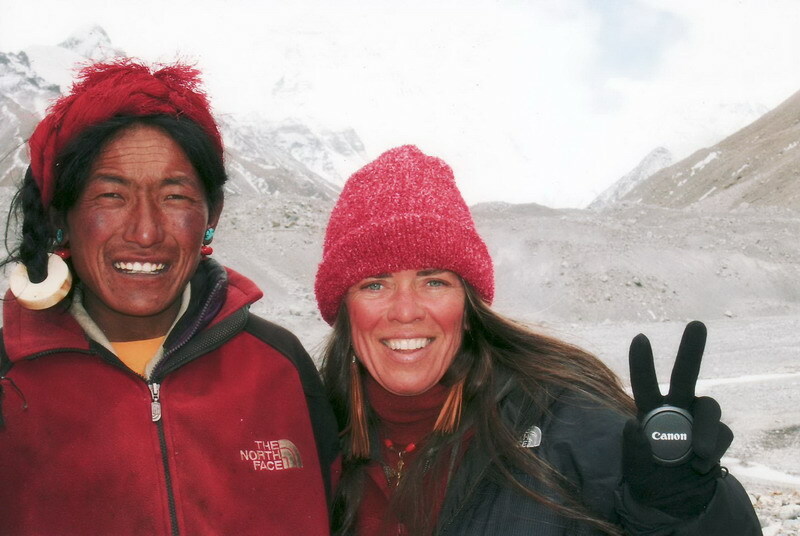 In 2007 Bikenets own beloved Betsy Huelskamp made it to 24,000 feet attempting to actually summit Mt. Everest. (See Video below). At sea level, the earth’s air pressure bearing down creates a very dense oxygen atmosphere. As you rise in altitude there is less pressure so the oxygen molecules thin out, it’s just not as dense. The higher the altitudes the thinner the air becomes and everything is hard. What’s worse is, as you sleep, your heart rate normally slows and your breathing deepens. Imagine this: You’re in a deep sleep; you’ve just exhaled all the air from your lungs and thoroughly relax, slowly sinking into a soothing pool of warm water. It feels as if you’re floating, but within a few seconds your body switches into self-preservation mode: you need another breath, but you’re under water. Panic sets in, you’re dying, and you bolt up in bed, gasping for air; 2-3-4 deep desperate breaths, your heart’s pounding, it’s not a dream… it’s a reality, and it happens over and over again. Your body hasn’t acclimated to high altitude and needless to say, we were all eager to head down to lower altitude the next morning. We all were looking forward to riding on new paved roads through the most majestic mountains in the world. 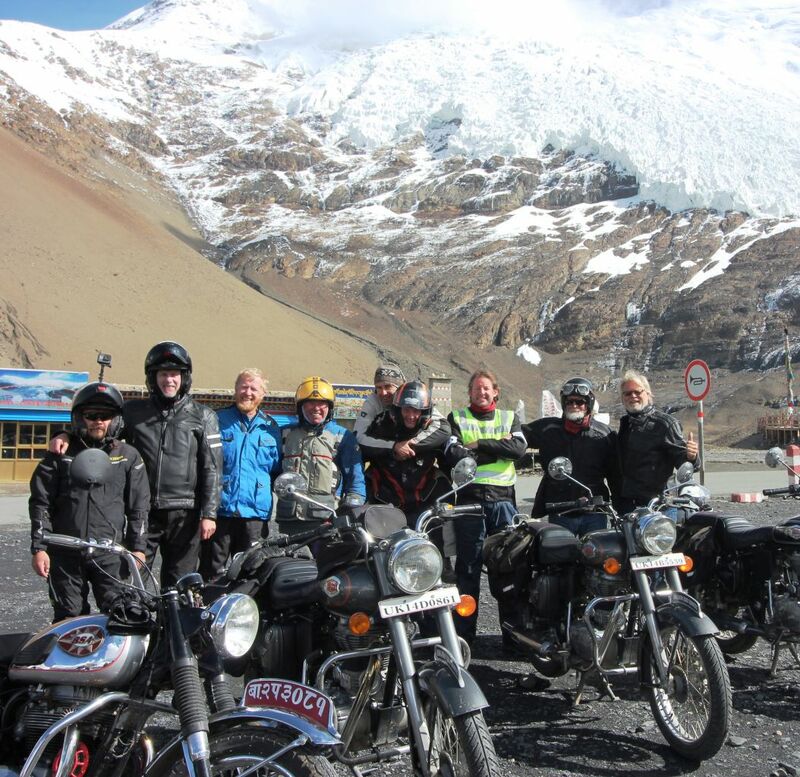 Little did we know that the ride out of Everest would be the most dangerous and the most challenging motorcycling of the entire expedition. The Everest overcast became darker and more threating as we descended, then it began snowing– not light flurries, but white-out snowing. At the bottom of the valley the group convened for hot tea and a powwow. Yesterday’s picture perfect weather had turned very sour. Welcome to Mt. Everest. And to make things worse, today’s ride was over Pang La Pass. 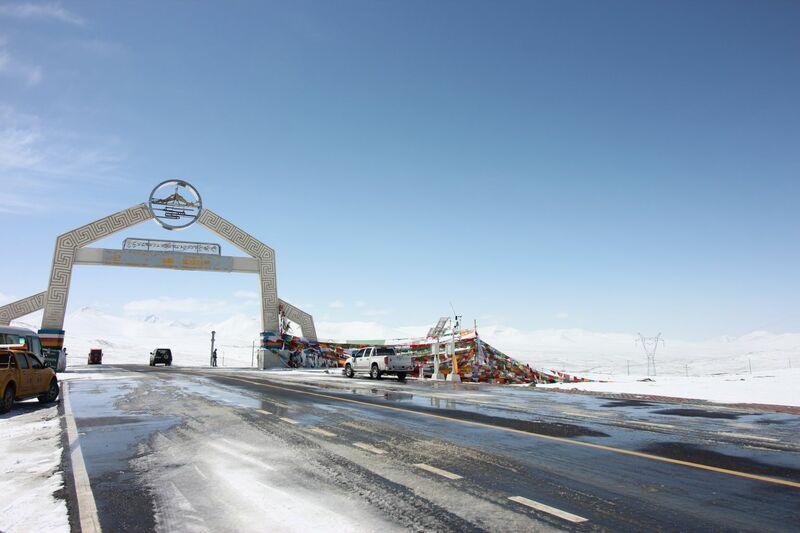 Pang La is a high mountain pass at an elevation of 17,076 feet above sea level. 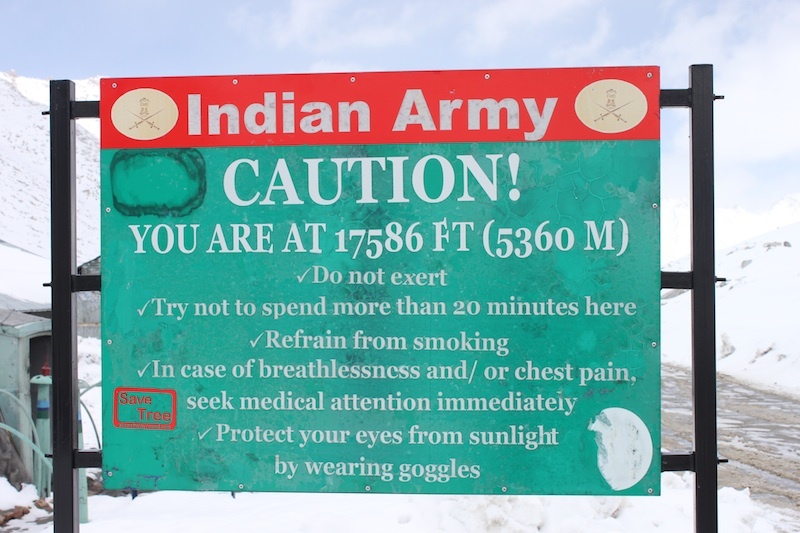 It’s one of the highest mountain roads of the country. This meant that the weather we just encountered was surely waiting for us up top. Miles of snowed out tight switchbacks up one side, and then back down the other. The only options were to wait it out which would kill another day, or soldier on. So much for the easy day of riding… we push on. The weather worsened and every thousand feet rise in altitude meant a few degrees colder, so cold that stopping anywhere at any time was out of the question, just keep moving, we had to keep going. My Alpinestars gloves that had so effectively protected me earlier were virtually useless. As we rose in altitude, snow and fog thickened at every turn and the threat of black ice loomed. The chase vehicle driver told us later that it was eight degrees at the snow covered top of Pang La Pass and that didn’t factor in wind chill. The road is more than 3000 feet of vertical climbing and there are 64 switchbacks up the south side and 41 down the north. There are few photos of that day and Rob confirmed that this ride was truly on the ragged edge, even for him. When we arrived safely at Shgar, Rob congratulated the group. His term “boys” for the Himalayan 7 no longer applied; he now thanked the men who braved the elements, for our riding skills and fortitude. We toasted… we survived! The roads are brand new, banked with guardrails and could’ve been one the best days of riding. But the mountain makes her own rules.